Ukraine's currency has hit its lowest level in over four years as the central bank is unable to support the hryvnia because its foreign reserves are dwindling. Ukraine is on the brink of economic disaster as its currency plunges to a four-year low amid political turmoil and a tug-of-war between Russia and the European Union. 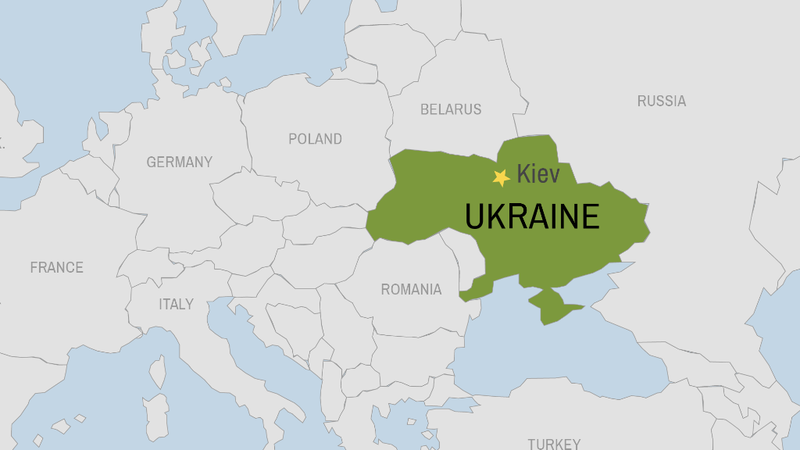 The trouble began in earnest in November 2013 when Ukrainian President Viktor Yanukovych made a policy U-turn, announcing his government was suspending talks on a planned European Union trade deal and instead opting to form closer economic ties with Russia. Pro-EU demonstrations erupted in the former Soviet state and became increasingly violent as authorities cracked down on protesters. Thousands of anti-government demonstrators have packed Kiev's Independence Square since then, underscoring tensions in a country split between pro-European regions in the west and a more Russia-oriented east. Lilit Gevorgyan, a senior economist at IHS Global Insight, said the Ukrainian government was looking to extract the best deal out of either the EU or Russia, and chose Russia because it was offering a $15 billion support package and massive discounts on natural gas imports. But the political backlash put the deal in jeopardy. Russia now seems unwilling to hand over any more money after investing $3 billion into Ukrainian bonds in December, leading rating agencies to raise red flags about Ukraine's ability to repay its debts. The Ukrainian currency -- the hryvnia -- which is pegged to the value of the U.S. dollar, has plunged because the central bank is running out of foreign currency reserves. Gevorgyan says the currency has room to fall further, which would cause more damage to an economy that is already suffering. Ukraine managed growth of just 0.4% in 2013, according to the International Monetary Fund. "When you have an unstable currency, it will hit your banking system. It will hit the pockets of consumers. It will increase the cost of debt repayments and servicing. Investors will be very hesitant to enter Ukraine," Gevorgyan said, noting inflation could surge. "The bottom line is what we're seeing in Ukraine is the result of years of inaction and economic mismanagement from previous governments and the current government," she said. Now, faced with rising debt costs, dwindling reserves, a slumping currency and political paralysis, the country is at a painful crossroads. The EU is Ukraine's biggest international donor, giving €3.3 billion in grants since 1991. Catherine Ashton, the EU's top representative on foreign policy, said the EU was ready to give further support to help resolve the crisis provided Ukraine signs up for an IMF program of reforms. Like Ukraine, other emerging markets such as Brazil, India, Indonesia, Turkey, and South Africa are struggling with current account deficits, where they import more than they export. This situation leaves their economies vulnerable when currencies fluctuate. Recent central bank data shows Ukraine's foreign currency reserves have been declining over the past year to roughly $20 billion, enough to fund just two months' worth of imports, said Gevorgyan.